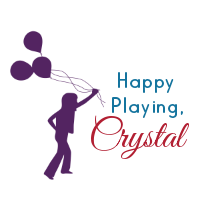 I am so excited to share this next play recipe with you! 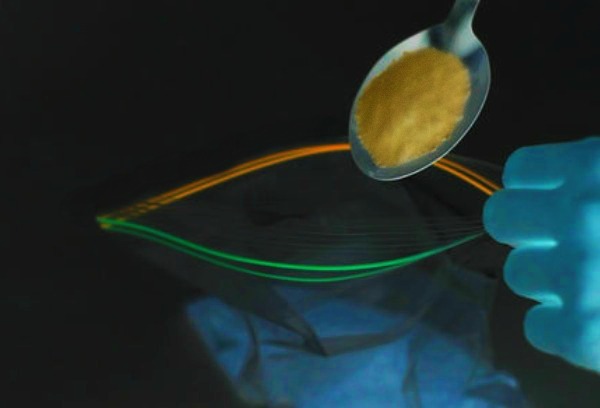 After a bit of experimenting we found a way to make our own glow-in-the-dark sand! My girls have been having so much fun with this stuff, and it costs mere pennies to make. Are you ready for the recipe? 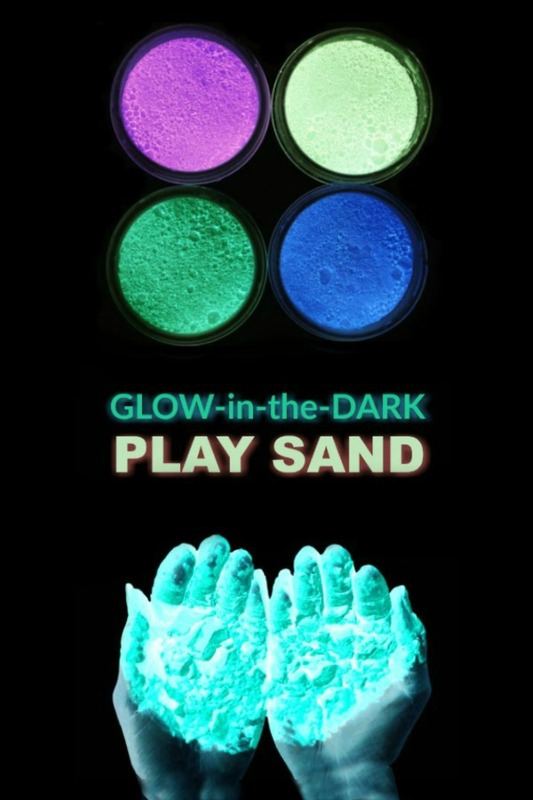 You can buy glow-in-the-dark sand, but it is pretty pricey. Why not make your own? The process is fun and easy. 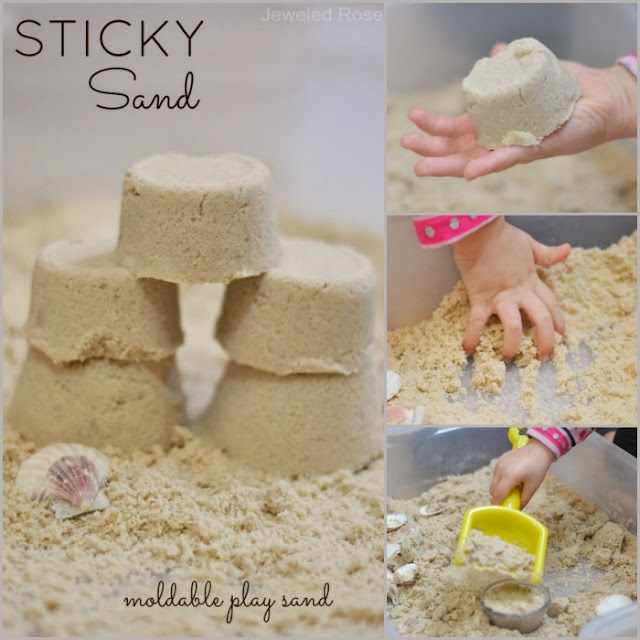 This sand is great for sensory play, arts and crafts, & all sorts of other activities, too! Place the desired amount of salt into a zip-seal bag, using one bag for each color of sand that you wish to make. 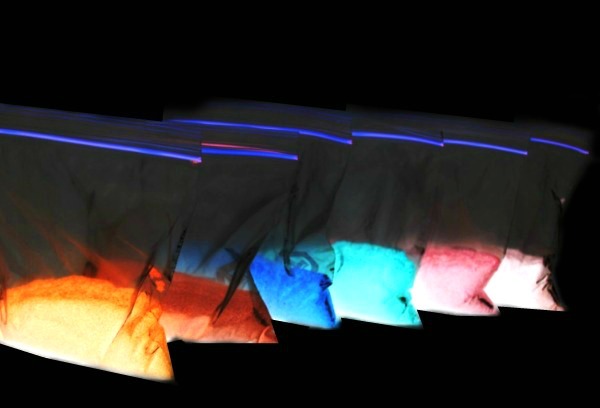 Add a spoon or two of glowing paint to each bag. Seal the bag(s) and mix until all of the salt crystals are saturated in color. Add more paint if needed. Once the salt crystals are fully saturated you can leave the salt to dry right inside the bags. Opening the bags will help the salt to dry faster. You could also lay the salt out on cookie sheets for faster drying if desired. 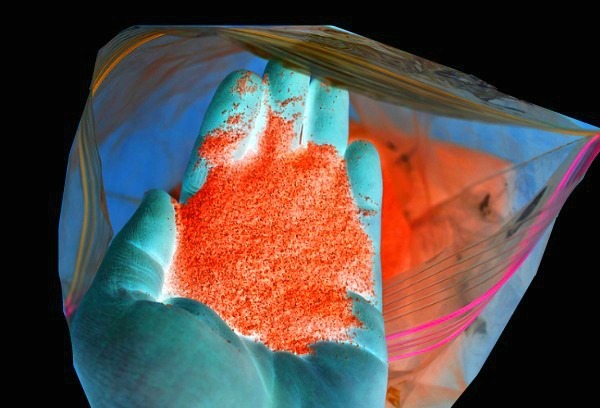 After a few hours of drying time you will be left with beautiful, glowing sand! The salt may clump together a bit as it dries but will easily break apart once it is handled. 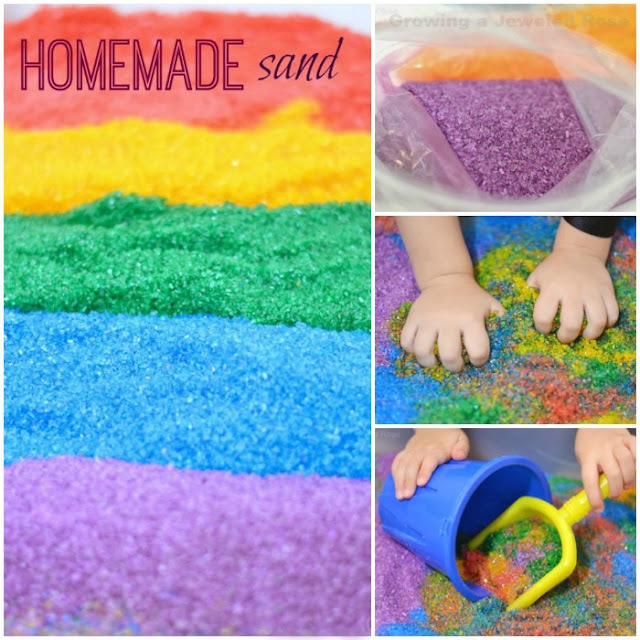 Once the salt is dry pour it into a sensory bin or storage container, and the fun can begin! As kids play the sand colors will blend and swirl to create neat effects! My girls were truly mesmerized and have had tons of fun playing and creating with their homemade, glowing sand! Add buckets, shovels, kitchen gadgets, cars, and toys to extend the fun. 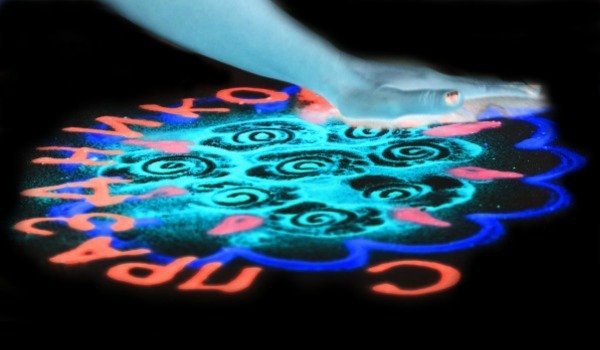 Extend the fun even further by making glow-in-the-dark sand art! 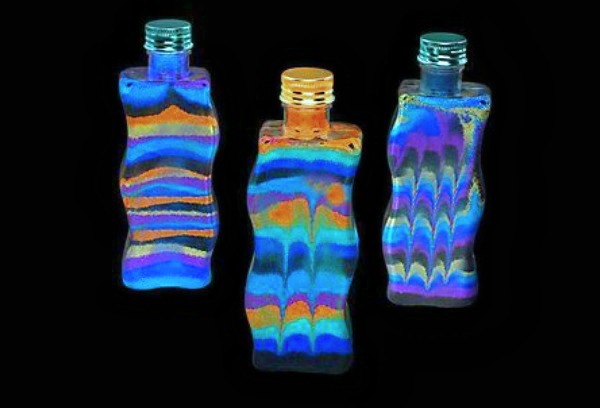 Have kids fill empty jars or similar with varying colors of glowing sand, rotating between colors often. 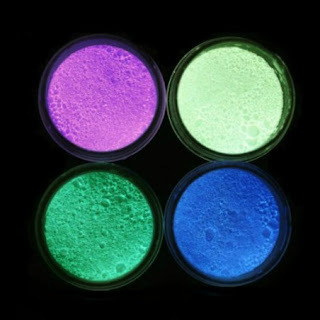 Once full seal the containers, and then step back & marvel at the beautiful, glowing creations! You can use any salt for this, but epsom salt is good for the skin and is a fine grain salt, making it perfect for making play sand. 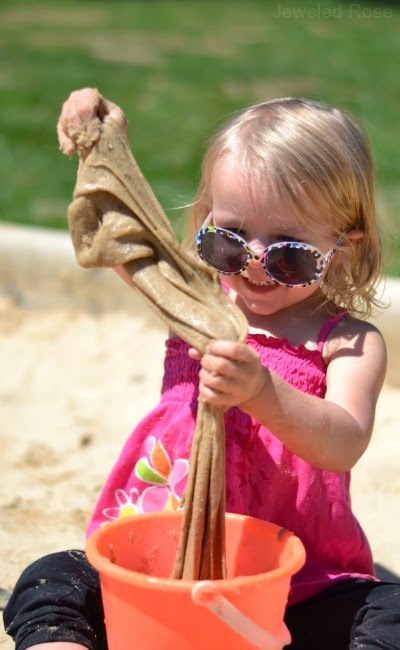 Adding water to the sand produces amazing melting effects and is a fun way to explore the science of salt and water. 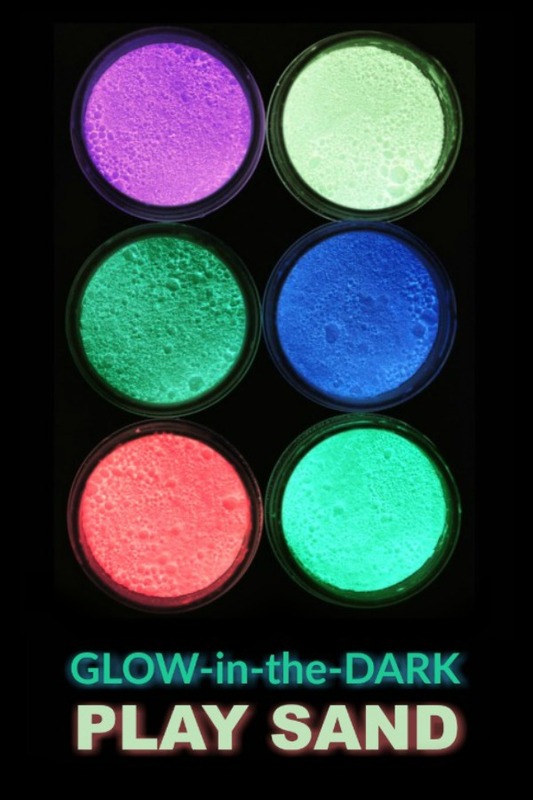 The glow in the dark paint that we use can be found online here. 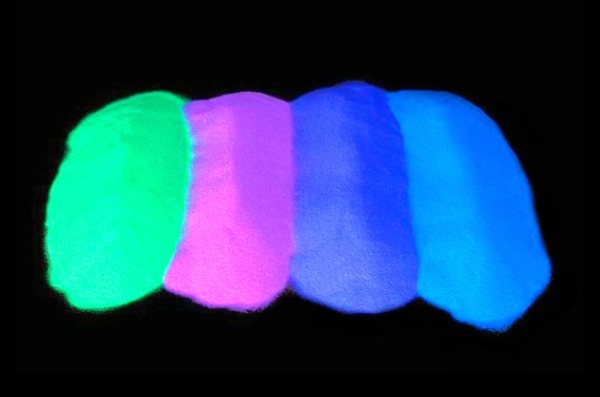 We also used some of our favorite fluorescent paint so that we could make a complete rainbow of glowing sand colors. If you use fluorescent paint you will need a blacklight. This is the one we currently have. To achieve the best effect I do recommend using a blacklight for this activity. You can use a traditional fixture like this one or give these super cool UV-flashlights a try! Storage: Store your glow-in-the-dark play sand in a zip-seal bag or sand storage bin between play times, and it can be used again & again!